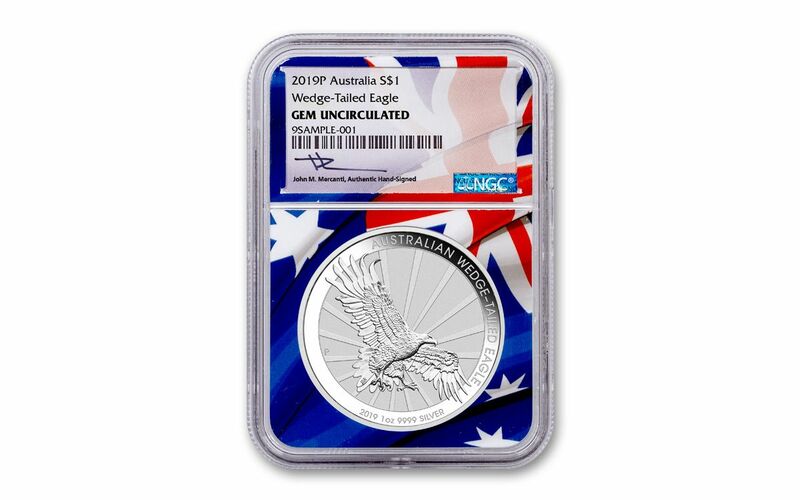 Your 2019 One-Ounce Silver Wedge-Tailed Eagle has been graded by the Numismatic Guaranty Corporation (NGC) as being in Gem Uncirculated condition, meaning that your coin is the product of a superb strike that places it firmly among the elite of the run! In addition, your coin will come sonically sealed in an acrylic holder along with a label that has been personally signed by John Mercanti! 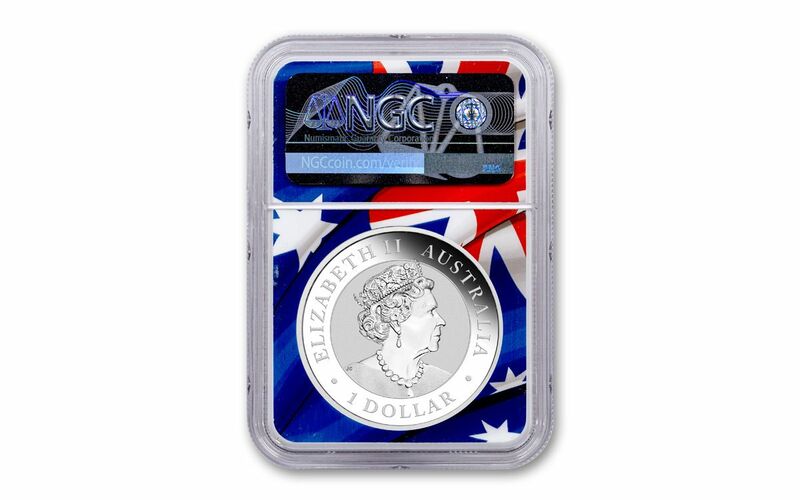 GRADED IN GEM UNCIRCULATED CONDITION – Your 2019 One-Ounce Silver Wedge-Tailed Eagle has been graded by the Numismatic Guaranty Corporation (NGC) as being in Gem Uncirculated condition, meaning that your coin is the product of a superb strike that places it firmly among the elite of the run!